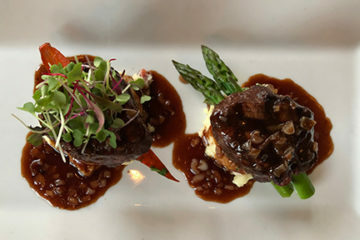 The Santa Ynez Valley is a short three and a half hour drive from Temecula. Once you escape the gridlock of Los Angeles and head north on the 101, the landscape begins to change to rolling hills and glimpses of the Pacific Ocean. My first stop was at Gainey Vineyard, where I tasted through their list of delicious and reasonably priced wines. 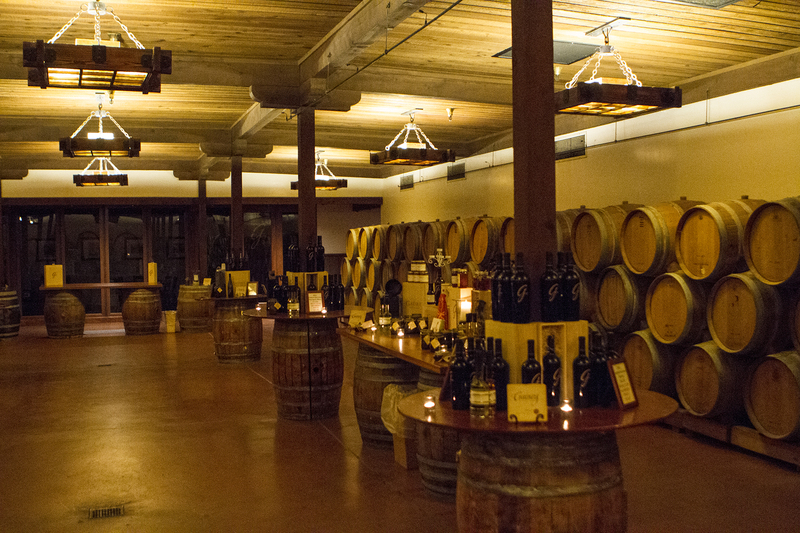 Tastings are held in their well-appointed and softly lit barrel room. 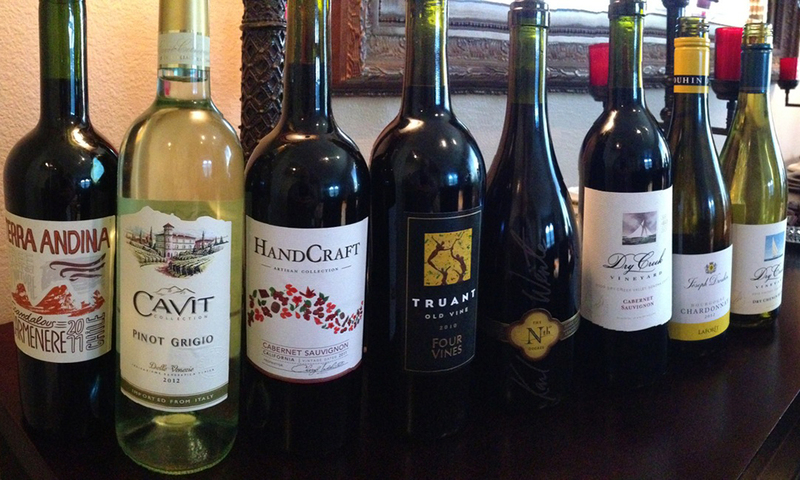 Gainey produces Sauvignon Blanc, Chardonnay, Pinot Noir, Merlot, Cabernet Sauvignon and a dry Riesling. Prices range from $19 to $55. I picked up a bottle of their Sauvignon Blanc and took off for Solvang. I checked into the charming and very Danish Hamlet Inn. Driving into Solvang you could almost be fooled into thinking you’re entering a small Danish village. Danish bakeries and curio shops line the streets and there are several tasting rooms. After a quick walk around town, I made my way to Alamo Pintado Road and Blackjack Cellars where they are still celebrating their 15 seconds of fame from Sideways. 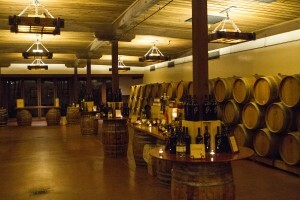 Blackjack offers about a dozen wines in their tasting room with the highlights being Chardonnay, Maximus Syrah (featured in the movie) and their Harmonie Bordeaux blend. 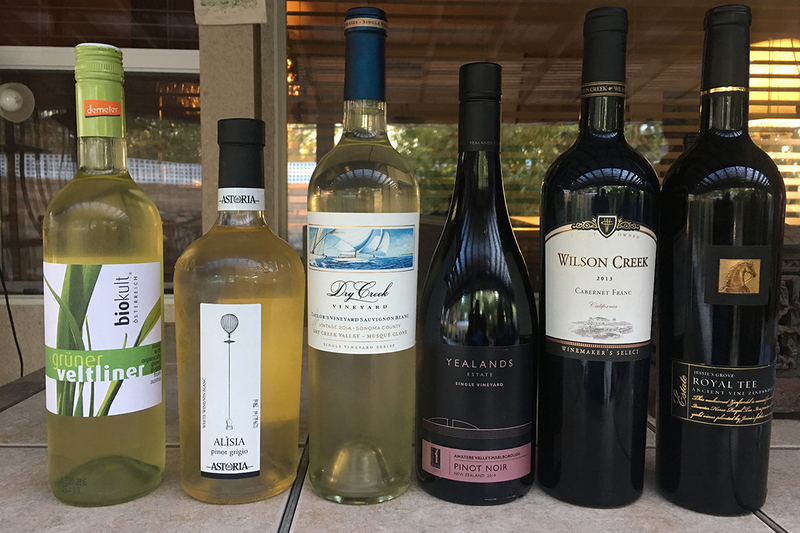 I tasted the 2005 vintage priced at $90. Other stops that afternoon were Lincourt Vineyards (amazing Chardonnay and sensational Pinot Noir) and Rideau Vineyard where the owner’s New Orleans heritage can be strongly felt. Back in Solvang, I strolled through the Farmers Market (always fun), grabbed a bite to eat at Succulent and turned in. The sun was shining brightly the following morning, giving no hint of the massive and long overdue winter storm that was to arrive that night. I set aside the entire day for winery visits, starting with a stop at Koehler Winery. 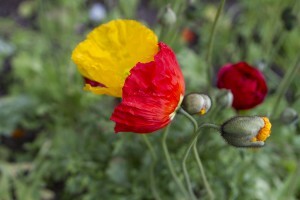 Bud break was clearly evident and it was making people nervous as the danger of frost was still present. 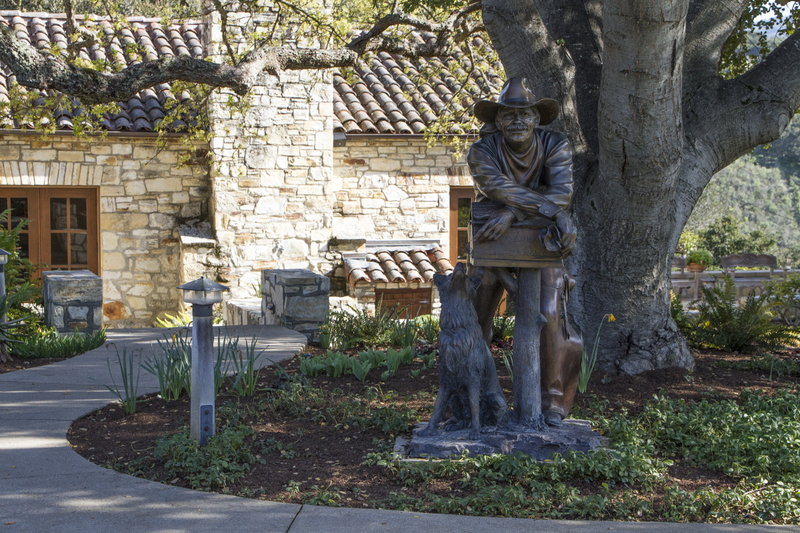 Koehler has a charming tasting room and a nice selection of wines. 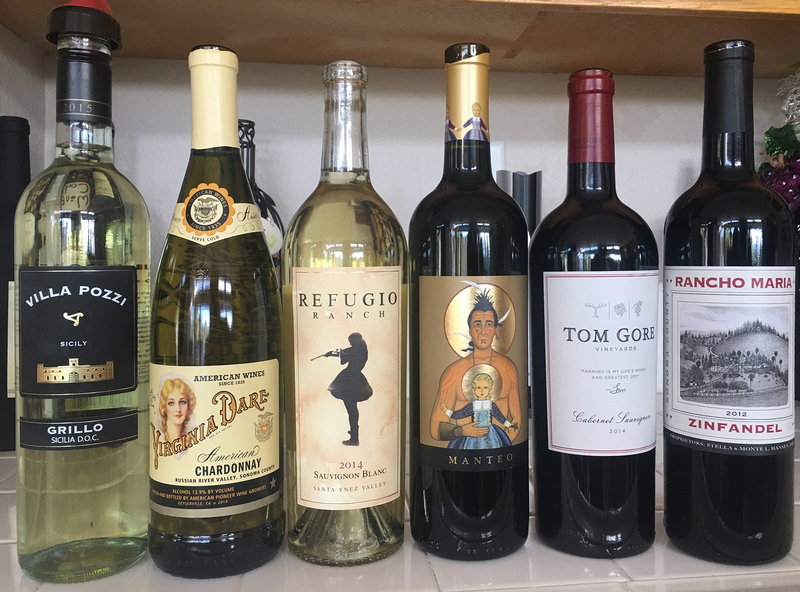 They’re about evenly balanced between Bordeaux and Rhône wines featuring Chardonnay, Viognier, Grenache, Mourvèdre, Syrah, Cabernet Sauvignon as well as Pinot Noir. My next stop was at the appointment-only Demetria estate, where Alexis Zahoudanis welcomed me warmly. The estate is spectacular. You drive past the sprawling Zaca Mesa Vineyards to find Demetria at the top of the hill. We started with Viognier, then on to a sensational Chardonnay followed by a Syrah and two Rhône blends. The wines of Demetria are exceptional and I highly recommend a visit here. 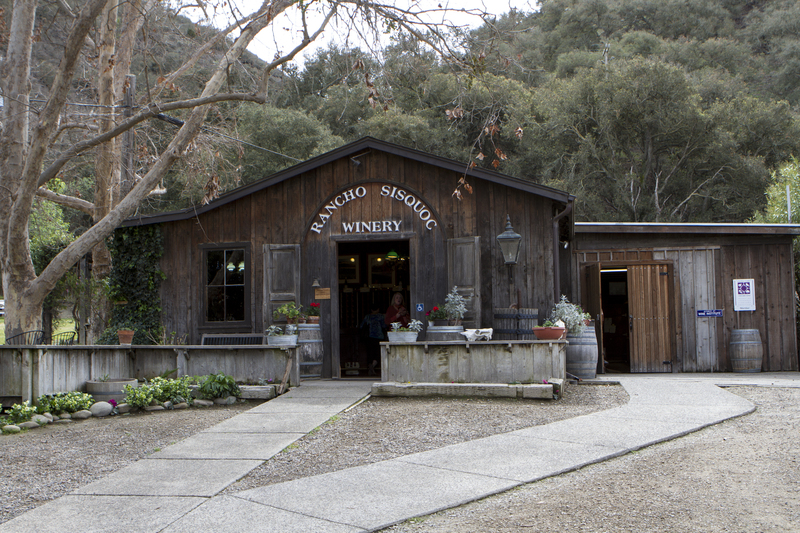 After a quick visit and tasting at Zaca Mesa, I turned onto Foxen Canyon Road and stopped at Foxen 7200, affectionately called The Shack. 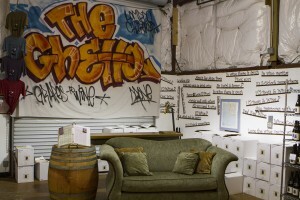 Although Foxen has a newer, modern tasting room just up the road, I prefer the coziness of The Shack. Here, too, you’ll find references to Sideways as this spot was also featured in the film. 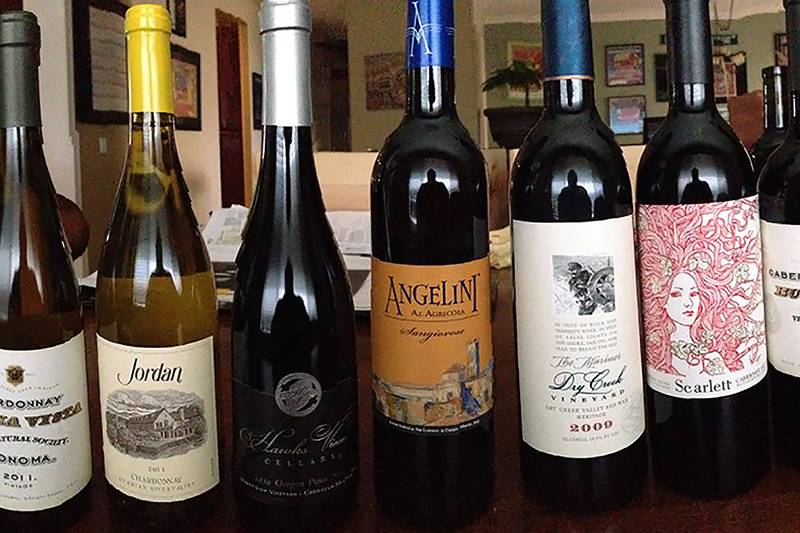 There’s a little bit of everything here: Bordeaux, Rhône, Cal-Ital and Burgundy. Another favorite stop not far from Foxen is Rancho Sisquoc. With a very down-home feel and wines that are very reasonably priced and good tasting, it’s well worth a visit. After a quick stop at Riverbench and their beautiful sparklers, I stopped in Los Olivos for lunch and a visit to three of their tasting rooms. 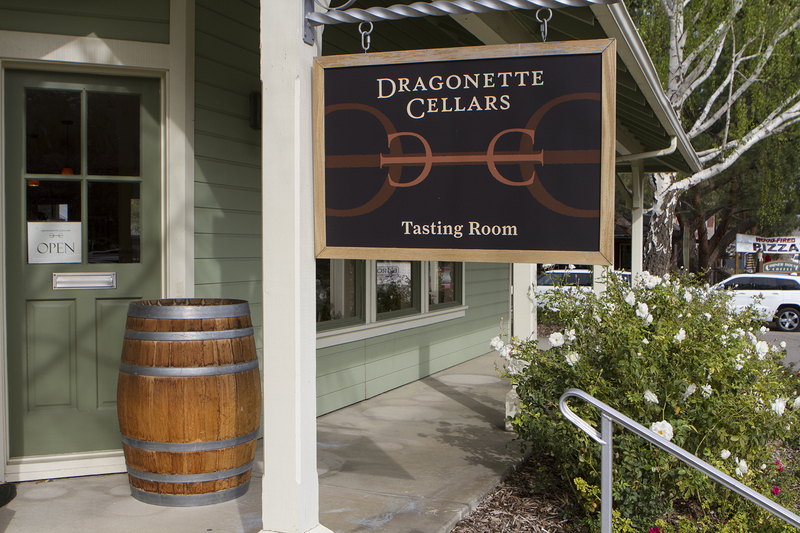 First stop was Dragonette Cellars, then across the street to Stolpman Vineyards before finishing up at the end of the block at Larner Vineyard and Winery. Los Olivos is tiny, the downtown consisting of just a few square blocks. 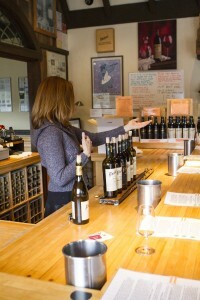 It’s friendly and down-to-earth, the tasting rooms here are fun and the wines excellent. 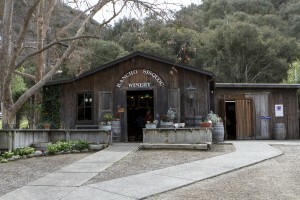 Heading back to Solvang, I made a quick stop at the charming Buttonwood Winery. You’ve just got to love a place that calls its wine club the Imbibers Club. 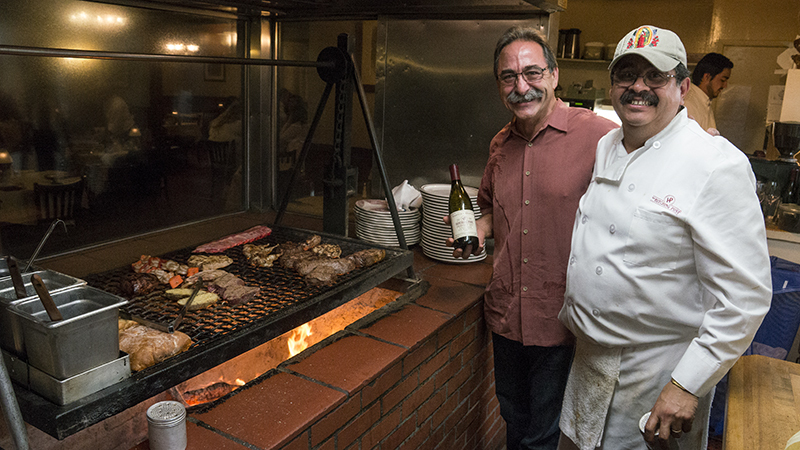 For dinner I took off for Buellton and the iconic Hitching Post II. I remember co-owner Gray Hartley telling me years ago that a guy came in, ordered a glass of wine and then a bottle and his world turned upside-down. The man was Rex Picket, author of the book Sideways. I sat with Frank Ostini, Gray’s partner, who told me he knew something was up when director Alexander Payne walked in. The Hitching Post was prominently featured and Gray and Frank have become semi-celebrities as a result, but as Frank put it ‘we still have to take out the garbage.’ Gray and Frank met each other in the mis 70’s. Gray witnessed someone doing a dine and dash, got the license number and gave it to Frank. Frank found the culprits and though they didn’t pay for their meal, it sealed his friendship with Gray and they became partners. 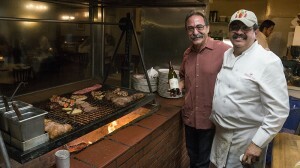 The food is wonderful, with lots of barbecue cooked over an open fire in the kitchen. 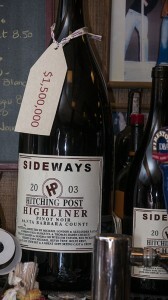 The Hitching Post also makes wines, most notably several delicious Pinot Noirs. While we were visiting David Crosby walked in to pick up dinner for his family. Frank says he stops in a couple of times a month. On August 2nd, they’ll be celebrating the 10th anniversary of Sideways with a 10 year reunion dinner at a private ranch. Wines from Hitching Post, Au Bon Climat and Clendenen Family Vineyards will be poured and director Alexander Payne, producer Michael London and actress Virginia Madsen have all confirmed attendance. Seats are $1,000 per person or $10,000 for a table of ten. 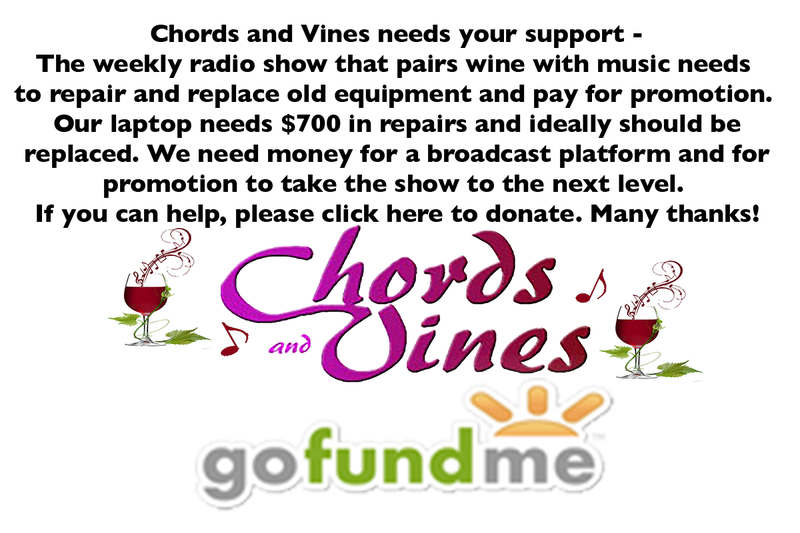 The hope is to raise $50,000 through the dinner and a wine auction that was held in February. Direct Relief, providing medicine and supplies to the needy in 70 countries can leverage that into $1,500,000. The storm forecasters had been predicting for more than a week arrived, delivering strong winds and drenching rain through the night. I awoke to find overturned planters and flooded streets. After breakfast in Los Olivos, I made my way to Lompoc’s Wine Ghetto. 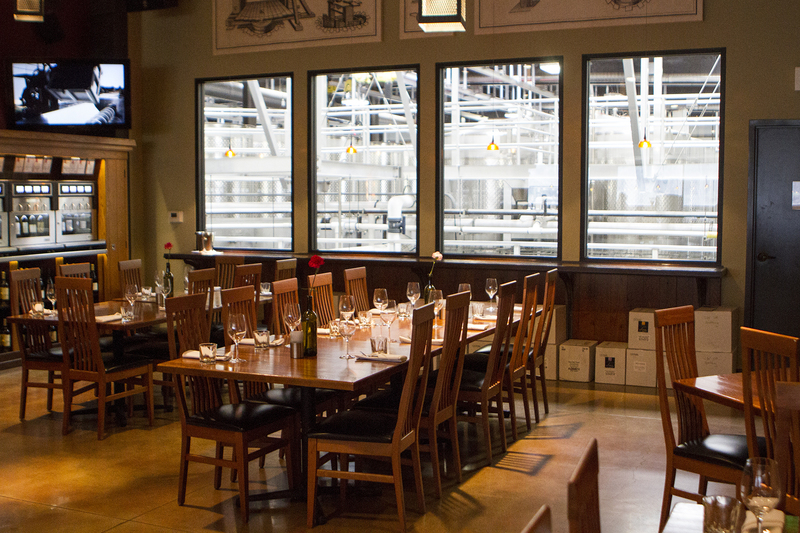 Brewer-Clifton serves stunning Chardonnay and Pinot Noir in their stark tasting room. 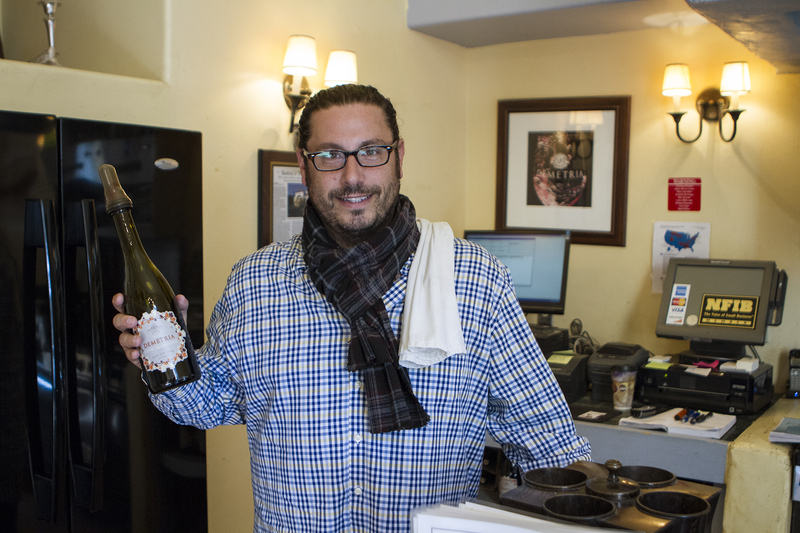 A few short blocks away is Flying Goat Cellars, where Norm Yost consistently produces superior Pinot Noirs. Heading home, I stopped at Avant Tapas, part of the innovative and unique Terravant. In front is a massive wine production facility with a restaurant in back. 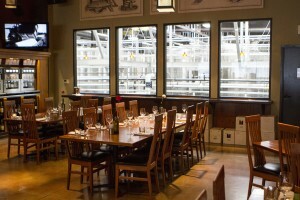 Diners can look into the production facility through large picture windows. The have several dozen wines available through an Enomatic system. Purchase a card and choose what you like. The storm turned a three and a half hour drive into a six-hour nightmare. I thoroughly enjoyed my two-day Santa Ynez excursion and look forward to returning this summer for the Wine Bloggers Conference.